Transport Secretary Philip Hammond has announced a nationwide crackdown on drink and drug driving. The drink drive limit will remain unchanged, but measures aimed at speeding up the processing of cases should see police freed up to focus on enforcement. Philip Hammond said: "The number of drink driving deaths has fallen by more than 75% since 1979. But drink driving still kills hundreds of people so we need to take tough action against the small minority of drivers who flagrantly ignore the limit." The government has also committed to examine whether new legislation should be introduced to tighten laws around drug driving. The burden is currently on the police to prove that a driver has been impaired because of taking a substance, where the new legislation could make it illegal to be found driving having taken an illegal substance at all. Police will also be equipped from June with devices that can be used at the roadside to determine whether a motorist is under the influence of illegal drugs. A trial is currently underway with six potential devices. Hammond is clear that the measures on drug driving need to be taken: "It is just as dangerous to drive impaired by drugs as alcohol so we need to send a clear message that drug drivers are as likely to be caught as drink drivers. That is why we will approve drug-testing devices and change the law to speed up the testing process, ensuring the police can bring drug drivers to justice." The most recent available figures suggest that 18 percent of the motorists who died on UK roads in 2008 were over the drink drive limit. The figures on drug driving are less clear cut because of the current difficulty in testing people suspected to be under the influence. Road safety campaigners have been supportive of the moves, but some organisations such as the Royal Society for the Prevention of Accidents feel that the latest measures don't go far enough. Road safety manager at RoSPA, Duncan Vernon, said: "RoSPA welcomes the announcement of new measures to crack down on drink and drug driving. 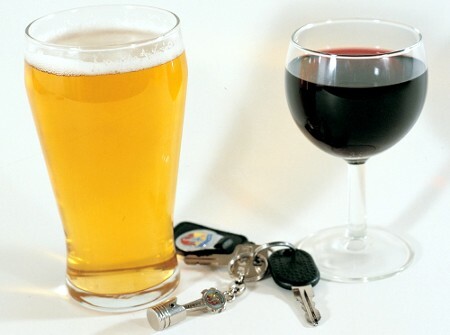 We would still like to see a lower drink-drive limit. Long-standing research has estimated that lowering the limit to 50mg of alcohol per 100ml of blood would save 65 lives a year on Great Britain's roads. "More recent research has suggested that the casualty savings could be even greater - perhaps as many as 168 fewer deaths in the first year following the change."